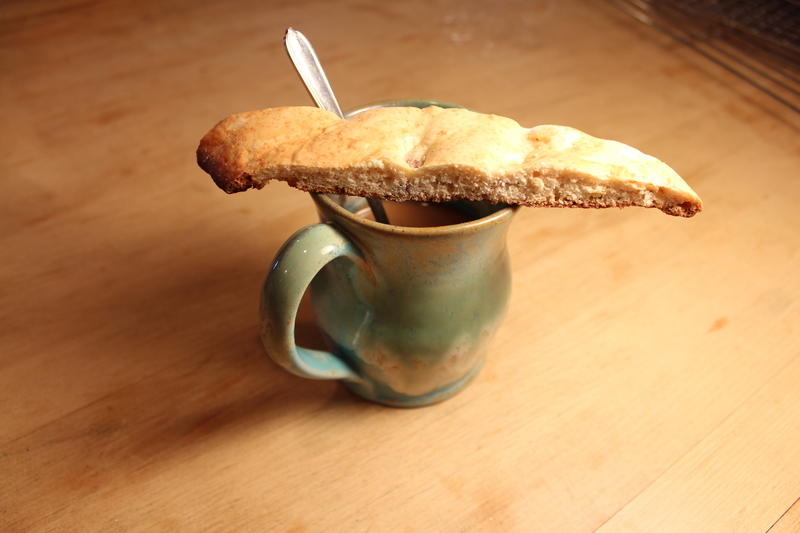 There are few things that universally say “Christmas!” to our extended family like Nonnie’s biscotti. Not to be confused with our Nonnie (queen of the pasta fazool), this nonna is my mother and her siblings’ grandmother. Lucy Vitiello Polvinale aka Old Nonnie (or Nonnie from Florida if she was within earshot) was a pistol of a lady. Though vertically challenged to the tune of 4 foot nothing – give or take – she could whip up a feast for the hordes while telling fabulous stories in her wizened old Italian-accented voice, barking orders at Cizzie (the Florida Cizzie, not to be confused with present day Aunt Dot Cizzie) and encouraging the feeble attempts of any protegee, young or old, who thought it wise to belly up to her counter to roll gnocchi or simply bask in her wonderful presence.